A wonderful addition to our fat quarter pack, Falling Leaves. You can smell all of the earthy fragrances by looking at this fabric. 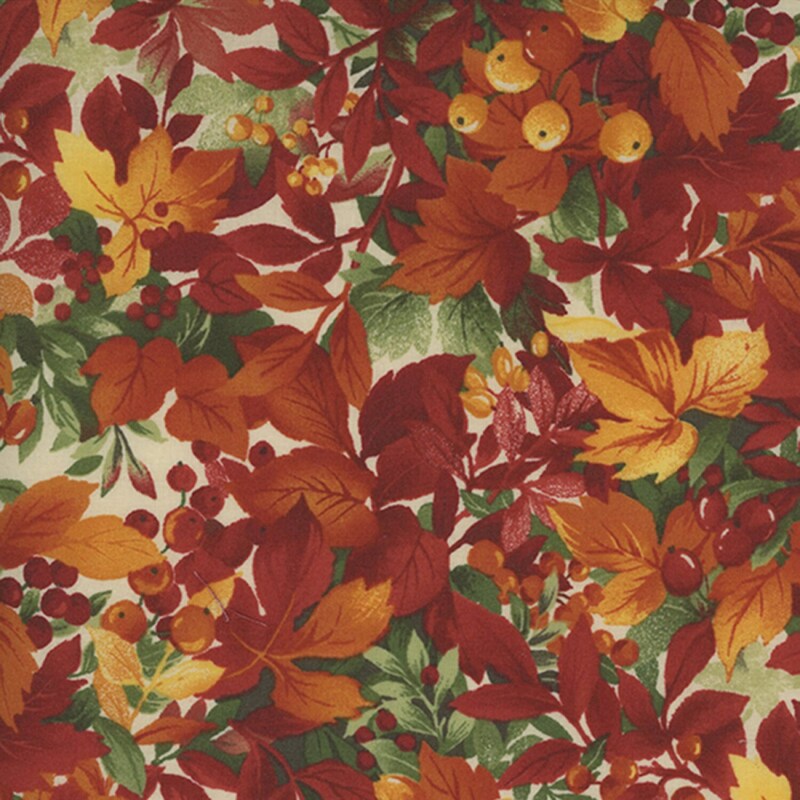 A gentle reminder that Autumn is approaching and it is time to decorate our homes and quilts with this lush fabric. Beautiful shades of orange, yellow, gold, green, brown and maroon. 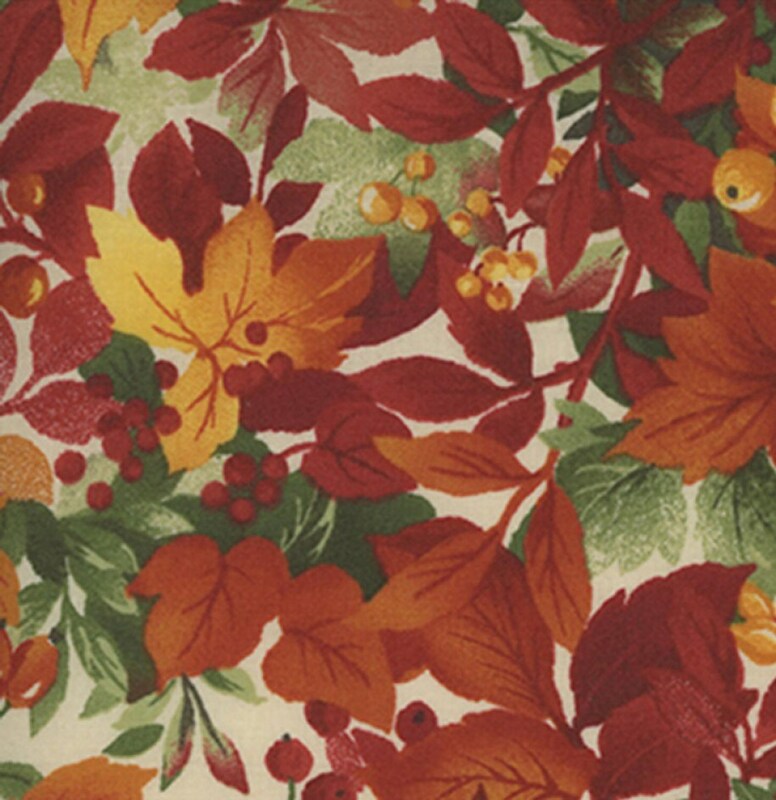 Purchase your Fall fabrics today to display your wonderful Autumn creations.